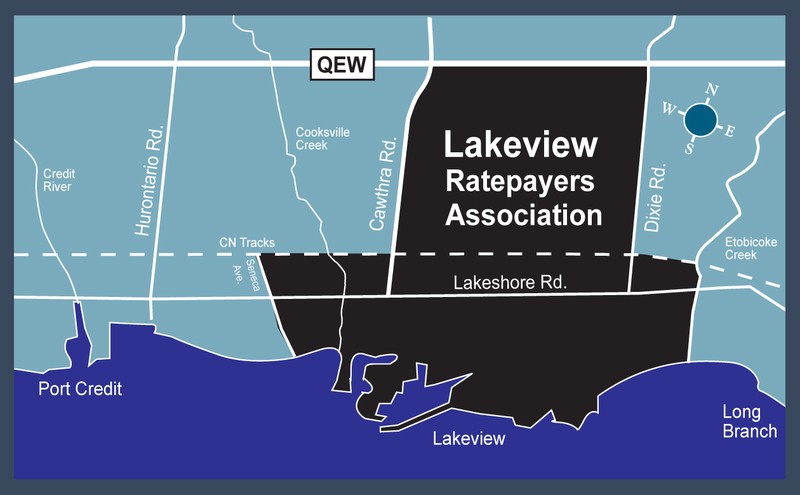 Welcome to the official website of the Lakeview Ratepayers’ Association! 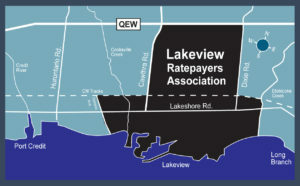 The Lakeview Ratepayers’ Association (LRA) is the municipally recognized residents’ association for the community of Lakeview in southeast Mississauga. The boundaries of the LRA stretch north to Queen Elizabeth Way (QEW), south to Lake Ontario, east to Dixie Road and Etobicoke Creek and west to Cawthra Road and the Adamson Estate. Our objective is to promote and further the interests of the residents of Lakeview through participation in municipal, provincial and federal initiatives impacting residents. Our focus is on putting people first and providing a voice to and from the community in matters of local development, education and transportation. For more information, visit our Contact Us.